It’s using SML’s RFID tags and SML’s Clarity item-level solutions to enhance inventory accuracy and customer service. 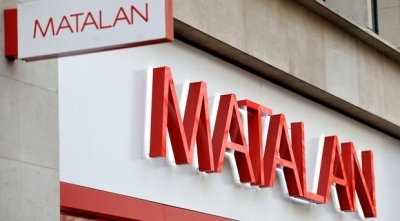 SML RFID has been working with Matalan for the past 2 years and the retailer determined it needed to improve its inventory accuracy across its entire business. To facilitate this, it embarked on deploying RFID into 2 pilot stores using SML’s Clarity® software suite. The outcome was that the retailer discovered various benefits, most importantly that its inventory accuracy wasn’t at an acceptable level. Within each of the two store pilots Matalan staff were able to count in excess of 100 thousand items of merchandise over a three hour window. Counts were done on a weekly basis, and the counts achieved inventory accuracy of more than 95%. The solution is also able to accurately receive stock from its central distribution centre; with delivery discrepancies reported back to the Warehouse Management system. The solution utilises over 900 Hand Held Terminals from Zebra Technologies with an Android Touch Computer across the estate, and the data is stored in Microsoft’s Azure Cloud platform.